From Muslimah Lifestyle to Parenting and everything in between- we've got it covered! Natural beauty products are becoming a popular trend for many women worldwide, due to the growing health concerns regarding chemicals such as parabens in beauty products. Many are switching to natural skincare and beauty alternatives, without wanting to compromise on the quality or benefits of their products in their skincare regime. 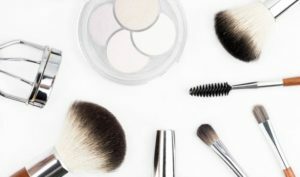 Mass, conventionally produced beauty products are harvested with pesticides and harmful chemicals, so the ingredients are exposed to chemicals from the very outset. Throughout the manufacturing process, chemicals are released into the environment and even get into the water supply. By making a conscious decision to buy natural and organic products, you are promoting the production and harvest of organic ingredients without chemicals, and the processing and manufacturing process is cleaner for the environment. Natural skin and beauty products improve skin health rather than just coat it like the majority of mass manufactured cheap-end beauty and skincare products. The ingredients in natural and organic skincare products actually aid the skin, rather than being just a filler which coats the skin without any benefit. 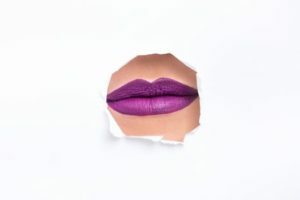 The majority of skincare and cosmetic products are filled with bulk fillers to cheaply increase the quantity of the product so that is it is produced inexpensively. While there are no actual benefits of the fillers, they can cause irritation, breakouts and allergies. 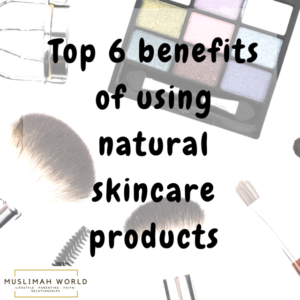 Natural ingredients found in natural skincare products aid and help the skin to repair itself and are beneficial for premature ageing, instead of just coating the skin. Even though the FDA has regulations to ensure many harmful chemicals are not used in skin and beauty products, many still manage to get through. These toxins are easily absorbed into the skin; while the body has a hard time getting rid of them. Using beauty products without any of these chemicals or irritants, aids your skin health as well as your overall health and well-being. Artificial, synthetic fragrances can not only irritate the skin but also cause headaches or sensitivities and hormone disruptors. Natural skincare and beauty products are more likely to be fragrance-free or use essential oils to scent the product. 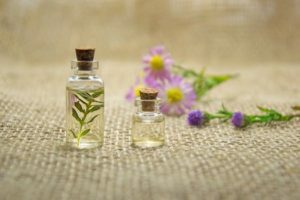 Essential oils not only provide a lovely fragrance, but they also come with their own host of benefits to the body and skin, which are well known in aromatherapy. Your skincare products using essential oils can actually have a therapeutic effect on you too! Natural skincare products do not contain synthetic fragrances. Fragrances help the product smell good and also your skin. However, the Food and Drug Administration allows companies to add fragrances to their products without having to mention what is exactly in their fragrances. Fragrances usually are mentioned under the general term ‘parfum’ in the ingredients section. The consumer has no idea how many chemicals have gone into making the fragrance. With organic and natural products, you know exactly what you are putting on your skin. The Environmental Working Group and the Campaign for Safe Cosmetics found that in 17 brand-name fragrance products, an average of 14 chemicals, yet none of them were listed on the label. Fragrances are among the top 5 allergens globally. Most conventional beauty and skincare products contain parabens to extend their shelf life. However, parabens are now known to mimic your body’s own natural hormones and more research is being done in this field to show that it can alter the functions of the body’s endocrine system. Natural and organic skincare beauty products use natural preservatives in their products. Although the shelf-life of natural products is less than those that use parabens to extend their shelf life, natural products are far more beneficial to the skin. Up to 60% of what we put our skin is actually absorbed by it and enters our bodies and potentially our bloodstream. 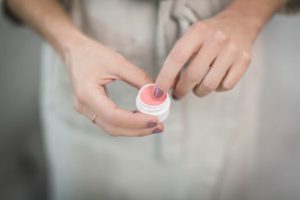 Many unnatural products may seem to help your skin by coating it and making it feel smoother, but may actually cause long-term damage and make you dependent on these products. Natural products don’t contain bulk-fillers or chemicals that may cause health problems with long-term use. On average, women use 12 products daily, containing 168 unique ingredients, this is a huge amount of ingredients which is absorbed by our skin and enters our bodies. Be warned, many skincare or makeup products may say organic or natural, but not all the ingredients will be organic or natural. Some may say they are natural while they add synthetic fragrance to their products. They claim they are natural, as they contain some natural or organic ingredients. The term ‘natural’ in skincare has no regulation so be sure to check the label to see how many natural ingredients are contained within the product. These are considered to be the most highly sensitizing cleansing agents that are used in products such as shampoos and shower gels to make the product foam. They are linked to disruptions of the skin’s delicate natural oil balance and seems to contribute to acne around the mouth and chin area. 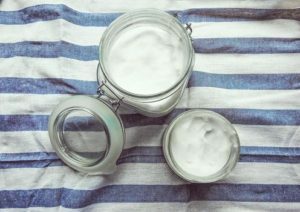 These most commonly used are methylparaben, propylparaben, propylparaben, ethylparaben and butylparaben. They mimic the oestrogen in the body and have been linked to breast cancer and reproductive issues, including early onset of puberty and reduced sperm count. Researchers have found parabens in breast tumours and believe there is a link between them. The longer chain parabens such as propyl, butyl and isobutyl parabens may disrupt the endocrine system, leading to developmental disorders. It also appears that parabens can be stored in the body, resulting in a cumulative effect that can damage health over time. Parabens are found in products such as creams, moisturisers, sunscreens and shaving gels. Nowadays, there is a growing range of paraben-free products. These are small plastic synthetic beads mainly used in exfoliating scrubs and washes. These are frequently contaminated with 1,4 dioxane, which is a likely carcinogen as well as a skin irritant. The beads also are not filtered by the waste, sewage system, so they travel into rivers and streams where fish and marine life harmfully consume them. Triclosan, an antibacterial ingredient which has no health benefit according to the FDA. Triclosan is used in liquid products while Triclocarban is used in solid bar soaps have been linked to bacterial resistance, impaired immune and muscle function, hormonal disruption and increased allergies. The alternative to Triclosan is a natural essential oil like tea tree oil which is antibacterial and antiseptic. This is found in toothpaste, deodorant and soap. Coal tar is used in many anti-dandruff shampoos and is a known human carcinogen according to the National Toxicology Program and International Agency for Research on Cancer. This has been banned in many European countries and FDA sanctions that coal tar is used only in speciality products, yet there have been no long-term research studies to show the safety of this ingredient. Skincare and cosmetics which contain petroleum in them may cause dermatitis and are often contaminated with cancer-causing impurities as they are produced in oil refineries. Surprisingly, retinol products are found in anti-ageing products yet may become carcinogenic in sunlight. So while they still hold their anti-ageing properties, they should only really be used in night-time creams and products to avoid this problem. Oxybenzone mimics the estrogenic hormone in the body and may be associated with endometriosis in women. Studies show that is may alter the hormone system. It is mainly used in sunscreen products, and a safer alternative is zinc oxide or titanium oxide or avobenzene. These are linked to respiratory issues, headaches, endocrine hormone disruption and linked to birth defects. These ingredients are commonly used in nail varnishes and polishes. Pregnant women should avoid these ingredients. This s a skin-lightening and bleaching chemical which can cause a skin disease, ochronosis, which causes irreversible black-blue lesions on exposed skin. Be very careful with skin lightening products, some may even contain mercury, which may be labelled as mercurio or mercurio cholorice which is very harmful to the body and skin. Phthalates are used to increase the flexibility of plastics in makeup and skincare products. It helps the products stick to our skin. Phthalates may be linked to birth defects, and cause harm to children. Several types of phthalates have already been banned in children’s products. It is worth familiarising ourselves with these ingredients and start reading labels of cosmetic as skincare products as much as we read food labels. After all, we only have one body and we should do our best to look after it as much as we are able. To read further about improving your skincare, read the blog on the Top Six Benefits of Using a Facial Sauna, click here. To read more about an optimal skincare routine, click here. Information and statements made are for education purposes and are not intended to replace the advice of your doctor. Discover how can eating hot and cold energy foods help your health? 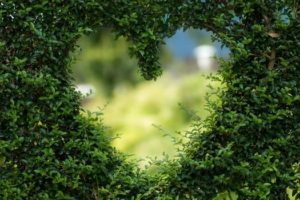 How to heal from hurt caused by our spouse? Being a Minimalist Muslimah- living with less gives you much more! muslimahworld on Discover how can eating hot and cold energy foods help your health? Aly Chiman on Discover how can eating hot and cold energy foods help your health? Anonymous on Philips Lumea Prestige on brown Asian skin compared to IPL, sugaring, waxing, threading, Soprano or ND Yag? เลสเบี้ยน on Philips Lumea Prestige on brown Asian skin compared to IPL, sugaring, waxing, threading, Soprano or ND Yag? xvideo on Philips Lumea Prestige on brown Asian skin compared to IPL, sugaring, waxing, threading, Soprano or ND Yag? Don’t miss our advice and tips straight to your inbox. Enter your email below.